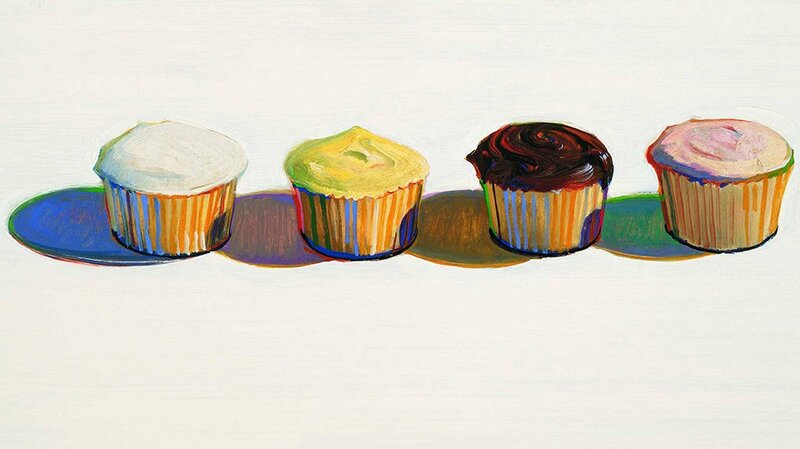 A song of cupcakes (with love), The Cuppycake Song, is a funny little lullaby for putting a smile on your face. Here are the lyrics to the cupcake song, and kids will adore the snuggles and hugs which must accompany this honey bunch song (Gumdrops optional)! 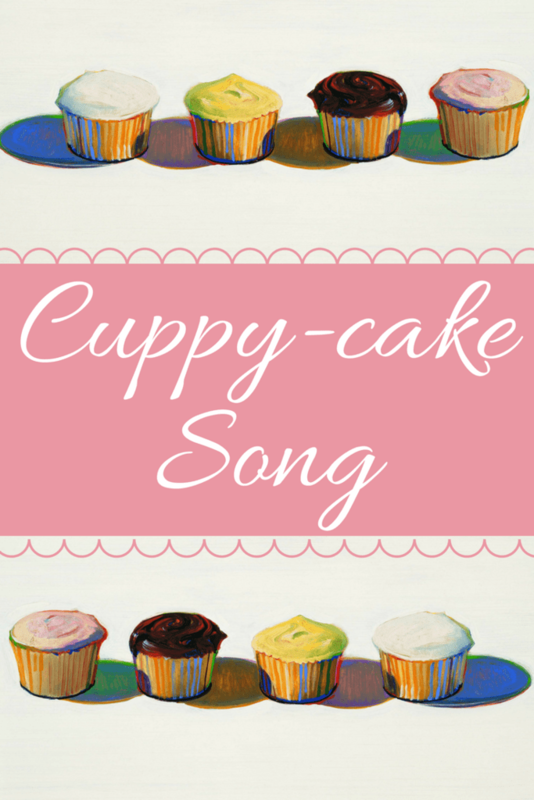 Click to download a pdf printable of Cuppycake Song Lyrics Printable. 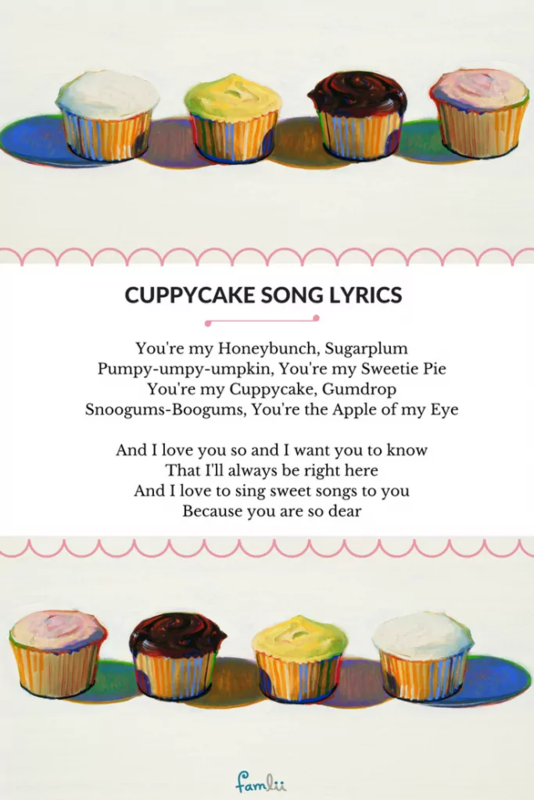 Originally titled You’re My Honey Bunch, the cuppycake song was written in 1994 by Judianna Castle, who wrote the song as a Valentine to her daughter Amy. Judianna included all the endearing names she called her daughter, as well as the nicknames she was called by her own parents. The music became an internet sensation, with various youtube spin-offs, most notably a lip-sinking video featuring Shirley Temple. Based on the fake video, many internet sites incorrectly credit the cupcake song to Shirley Temple from the 1930s. However, Shirley Temple fans will know, it was the Good Ship Lollipop that Shirley was famous for! The best version of the Cuppycake Song is sung by little Amy herself, when she was only three years old. The original video is below, and you can also check out The Cuppycake Website to purchase the Balloons CD which includes the song.